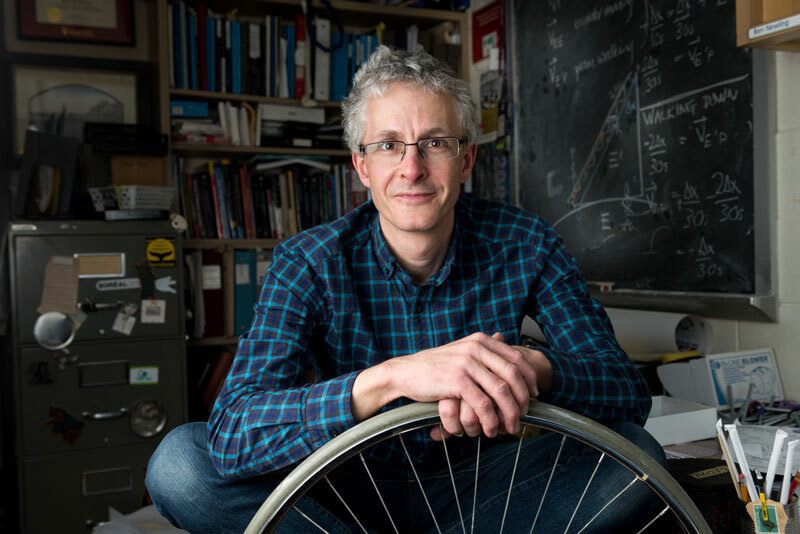 UNB physics professor Dr. Benedict Newling has received a 2016 Association of Atlantic Universities’ Distinguished Teaching Award. This award recognizes outstanding teaching through a proven commitment to enhanced student engagement, a reflective and intentional approach to teaching practices, and dedication to improving teaching methods. Dr. Newling joined the physics department on the Fredericton campus in 2002. He enjoys his research in materials magnetic resonance imaging, but also has a great passion for teaching. He is known for his interactive, engaging, and research-based teaching methods. This is the second consecutive year a UNB professor has received this award. Dr. Emin Civi, faculty of business at UNB Saint John, received a 2015 AAU Distinguished Teaching Award, while Dr. Dale Roach, department of engineering at UNB Saint John, received the 2015 Educational Leadership Award. Since 1991, the AAU has recognized 10 UNB faculty members for their commitment to, and leadership in, education. AAU Member universities can propose nominees for these awards and the association’s coordinating committee on faculty development selects recipients. The 2016 teaching awards were handed out Sept. 21 at Cape Breton University.